​YOU ARE BETTER THAN THEM ALL! The way books are born, promoted, bought, and sold is changing. Today the attitude of major publishing houses is they want household names and sure-fire books. So-called ‘midlist’ authors an industry label for writers whose books sell modestly and whose names lack marquee value, are getting short shifted from publisher row. Small mid-sized publishers however are much more likely to nurture these authors and their books. The road to publishing success is full of hurdles and hard work. But before and above everything else a publisher must find an imaginative creative writer. A writer for his or her part cannot do without a publisher. You, the author, believe in your ability. You have spent months, even years bringing your manuscript to fruition. And now you seek the services of an experienced publisher someone with a sympathetic ear who will guide you throughout the harrowing process of production, printing, promotion, and marketing. What happens when a new author submits a manuscript to a literary agent or publisher? Even if they believe you your work is good, 95% of publishers are reluctant to publish new authors. Why? Because of high production costs. There are, of course, a few exceptions, but for the most part, market conditions are so unpredictable that publishers will simply not take the risk. What options does a new comer have? You may continue to send your manuscript to literary agents and publishers in the hope that one day you will be noticed. Or assume the tasks and responsibilities of a publisher promoting, marketing, distribution, accounting collection, etc. our opinion? Don’t give up. You can find a home for your work at Worldwide Publishing where you will find a home, a sympathetic ear, and a professional reading. Our goal is to transform newcomers into mature authors, positioning them safely in the literary marketplace, and building an audience for them and their work. Once the author has been molded and has won an audience, his or her future work will be sold under our main imprint Worldwide Publishing. We will publish future works on a print-on-demand basis. The uncertainties surrounding a newcomer’s work is the reason a majority of publishing houses shy away from handling unknown authors. This is why we have created a publishing program to fit the budget of the new author. We are not a vanity press. We simply take books by new authors and bring them up to the industry standards. We offer new authors services provided by the bigger publishing houses, services that would otherwise not be available to them. When we publish your book you will receive percentage of the resale price of each book sold at standard and discounts prices, plus a percentage of any income from future reprints. You incur no financial obligations for future reprints or reprints will be paid by worldwide publishing and your work will be marketed under our imprint. Once we approve your manuscript we will produce an attractive edition of your work, equal to or exceeding in quality and appearance to the other books sold nationwide. We will assume all promotion and distribution of your work, but will allow your opinion on the design and promotion. Review copies of your book would be sent to newspapers, as well as radio and television stations in your locality. 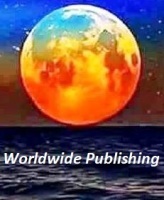 Books published by worldwide publishing are listed online on Amazon.com, Barnesandnoble.com, Ebay.com, and Alibris.com. What Genre do we publish? Any imaginative and creative writer has a home at Worldwide Publishing. Every writer has a desire to have his or her book published. You as an author, feel the need to add your experience, exercise your imagination, or express your opinion. Through your book, your ideas and imagination are given free flow and they take your audience into a word only you, the artist, can create. We publish books in all genres, fiction, nonfiction, children’s books, textbooks, plays, spiritual books, fantasies, romance, westerns, true crime, cookbooks; books dealing with health, the family, art, photography, travel, religion, ethnic concerns, business, law, humor, poetry, and more. We do not publish pornographic material, nor books that promote hate or are defamatory in nature.